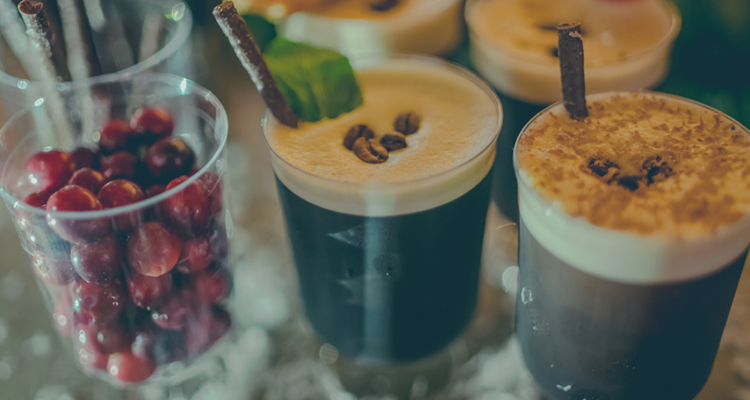 Hurrah, December is here and with it comes a plethora of festive pop-ups offering a chance to indulge in seasonal sips, surrounded by all kinds of twinkling lights and general merriment. We’ve rounded up some of our favourite places to visit this month – from legendary debaucherous saloons, to beautiful winter cabins, and even Moroccan-inspired rooftops. What is it: Well, joyeux Noël to all! This December, French restaurant L’Escargot have paired up with French gin G’Vine to bring you a Christmas treat with a bit of je ne sais quoi. 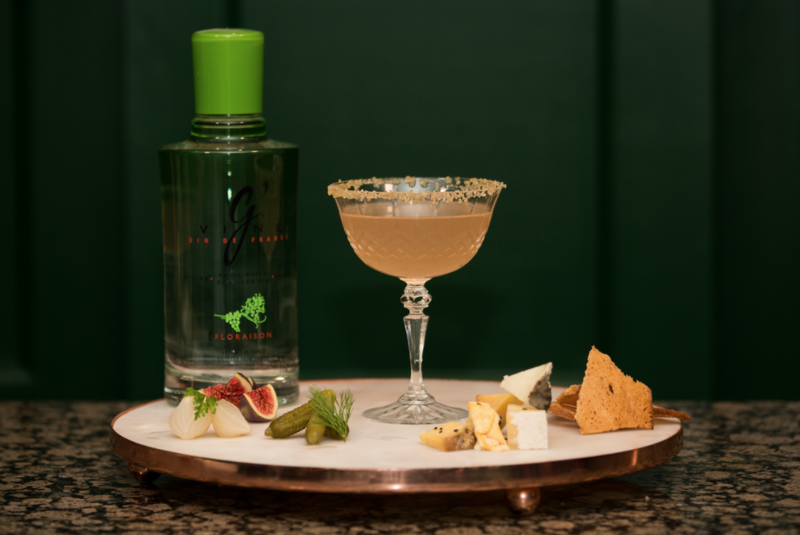 G’Vine is the world’s first gin handcrafted from grape spirit and the rare vine flower, and this pop up cocktail menu is redolent with their avant-garde twists and unusual offerings. Where: The newly renovated library at L’Escargot, one of London’s oldest French establishments, situated on Greek Street in Soho. Cocktail highlights: We’ll be warming up with the Smoked Mulled Cider – a sweet and satisfying mix of Cider Breton, G’Vine Floraison, autumn spices and smoked toffee apple, followed by the irresistible Martini de Vendange. This strong and savoury cocktail certainly pulls no punches, and is a combination of G’Vine Nouaison, fig liqueur, red wine and vinegar, garnished with silver skin onion and comté cheese. What is it: A magical secret winter cabin has come to Bloomsbury, as Dalloway Terrace is transformed into a cosy hideaway complete with hot cocktails, sheep skin rugs, and even hot water bottles to ensure your evening is suitably snug. 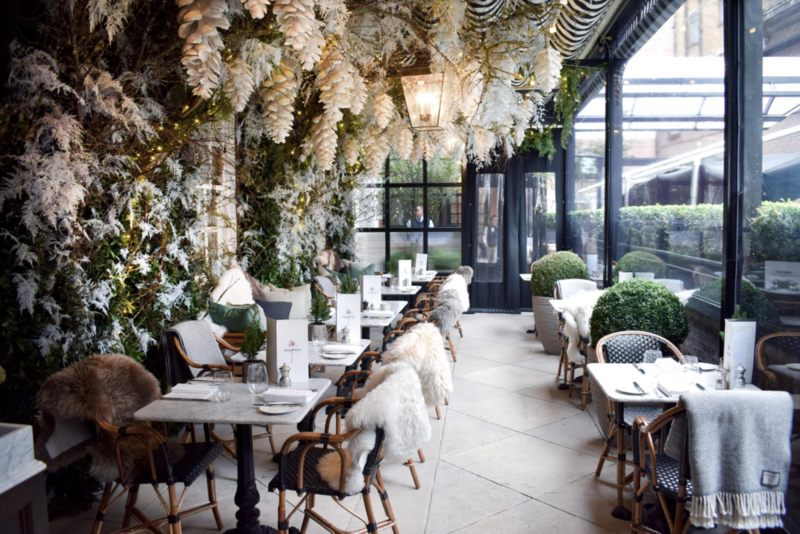 Where: Dalloway Terrace in Bloomsbury is inspired by the seasons, and the space has been transformed by master florists Wild at Heart by Nikki Tibbles into a canopy of frosted foliage, ferns and pine cones to create a glittering winter garden that’s all-too-Instagrammable. What is it: Prepare to be put on Santa’s naughty list – decadence and debauchery are the name of the game at South Pole Saloon. Live music means there’s always a party atmosphere; you’ll be wowed with performances from naughty-but-nice candy caner girls; and there are of course cocktails to sip on throughout the night. 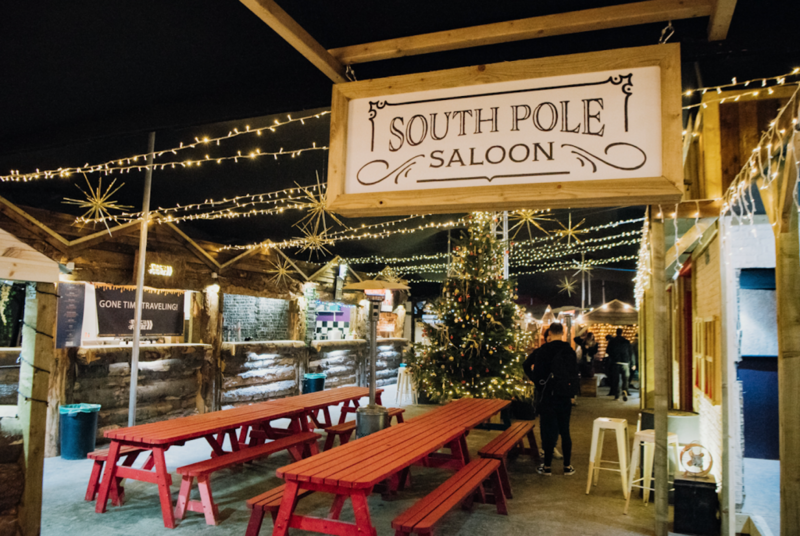 Where: For the festive season, Brixton Rooftop has been transformed into the legendary South Pole Saloon, where a band of renegade elves take shelter following their escape from a life of slavery to the evil fat cat, Father Christmas. The rooftop features three main bars and one private bar, four street food traders, a stage for live bands and performances, plus private hire rooms and a night club with a 2am license. Basically, plenty of opportunity to get up to snow-good. Cocktail highlights: Who wouldn’t want to start December sipping on a Snow Globe – a tantalisingly tropical mix of Double Spiced Bacardi Rum, ginger beer, Angostura and Coconut Syrup, topped with cocoa powder. And for something a little sweeter, you can always count on Santa’s Tart – Bacardi 8YO, cherry syrup, cinnamon syrup and lime juice. What is it: Warming yourself from the inside out! That’s the thinking behind this Sipsmith Gin pop-up at the National Theatre, where the inspiration comes from the 1970s, when hot cocktails were used to keep people warm. 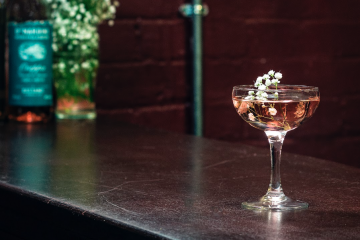 Guests can sip on six specially curated hot gin cocktails served in Sipsmith cups. Where: The Green Room Garden Bar’s unique outside space at The National Theatre has been decorated with festive wreaths and laden with cosy blankets, to create a Christmassy urban space. 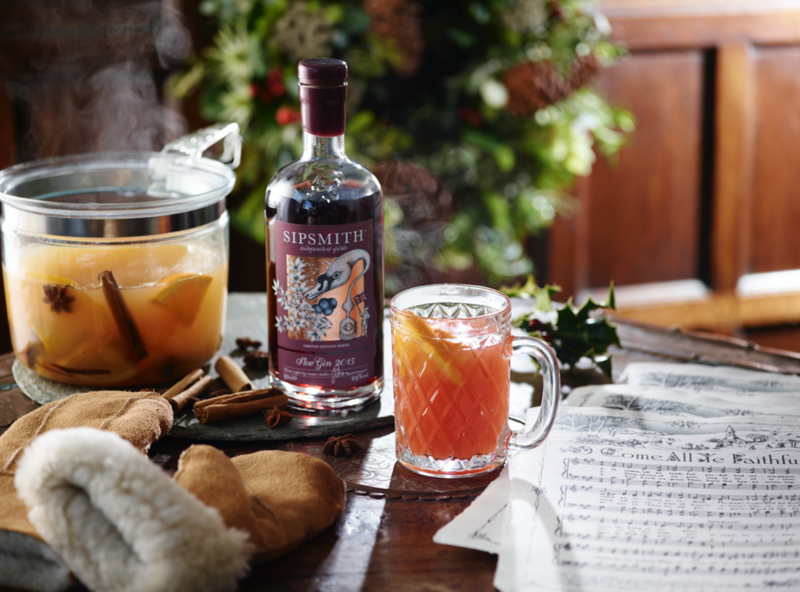 Cocktail highlights: Top tipples from the inspirational hot gin menu that we’ll be keeping cosy with are the deliciously festive Mulled Sloe Gin and the Gin Hot Toddy. When’s it on: Until 23rd December, The Green Room, 101 Upper Ground, Lambeth, London SE1 9PP. What is it: Marrakech has come to East London! Forget spending December sipping cocktails surrounded by faux snow – embrace your exotic side with this North African-inspired Rooftop Riad that encapsulates all the mystical romance of Morocco. 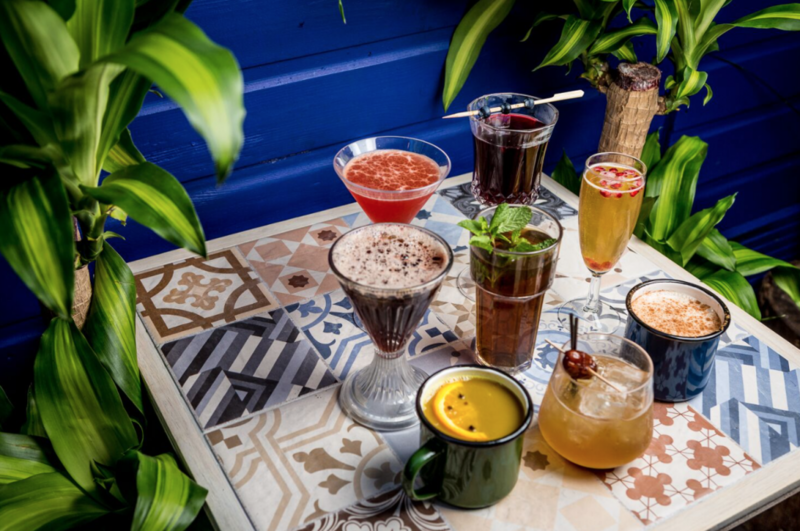 Where: The rooftop at Queen of Hoxton changes regularly with cool and creative pop-ups, and for the winter season it’s become a Moroccan Medina complete with Babouche slippers, ceramic tiles, twinkling lanterns, cushions and drapes, all inside a unique rooftop WigWam. Plus outside you can warm yourself around crackling cast iron fire pits and enjoy fragrant Shisha. 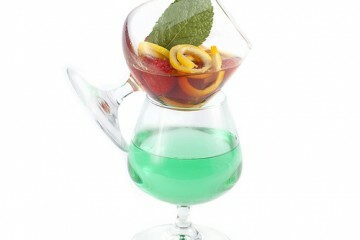 Cocktail highlights: A hot version of an Espresso Martini, given a Moroccan twist? Sign us up! The Kasbah Coffee Martini blends Amaro di Angostura with Tia Maria, cardamom and hot coffee for a tantalising, warming treat with that essential seasonal spice. We’ll also definitely be cosying up to The Majorelle Man – Naked Grouse whisky stirred with Grand Marnier, chocolate bitters and homemade date and pistachio puree. When’s it on: Until end of March 2018.